Leading figures in the European film industry have paid tribute to Eliane Dubois, the pioneering founder of Benelux distributor Cineart, who died today [Aug 20] following a long illness. She was 65. Double Palme d’Or winner Emir Kusturica led the tributes. “The movies from Time Of The Gypsies through Black Cat White Cat, Undergound, Life Is A Miracle, Maradona, everything, all important international films that I was doing, she has supported,” said Kusturica. Kusturica praised her “strength, independence…and great taste, which is very rare today”. Speaking from the set Ken Loach’s Jimmy’s Hall in Ireland, Sixteen Films’ Rebecca O’Brien was likewise effusive in her praise of Dubois. “She was a founder member of the magnificent tribe of European supporters who were instrumental in helping us make a steady flow of films throughout the last 20 years,” said O’Brien. Producer San Fu Maltha spoke of Dubois as a mentor. “Right now, it (film) has become more of a business. When she entered this business, people loved movies and she was one of them. With her passing, we are going to miss someone who was very crucial in independent film distribution. The news of Dubois’ death was announced in a statement by Cineart on Tuesday afternoon. “Eliane will be remembered for her great loyalty, her boundless enthusiasm, her passion for cinema and her fighting spirit,” the statement read. Stephan Depotter and Marc Smit will now assume the running of Cineart. 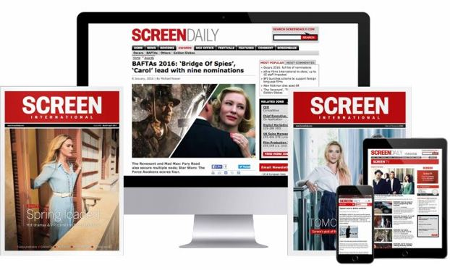 Speaking to ScreenDaily, Depotter said that the business side of the company will carry on as normal. “We all feel like orphans…it is very, very sad and very hard to face,” Depotter said.